Everyone has back pain now and again, but sometimes that back pain may be indicative of something more serious. When it comes to back pain that continues on a regular basis, seeking out the expertise of a spine specialist is a wise choice. Leaving back pain issues to fall by the wayside may lead to a worsening of the original condition. Seeking help and a proper diagnosis before back pain gets out of hand is the best path to take. Just as there are many conditions relating to the back, neck, and spine, there are also several treatment options available. 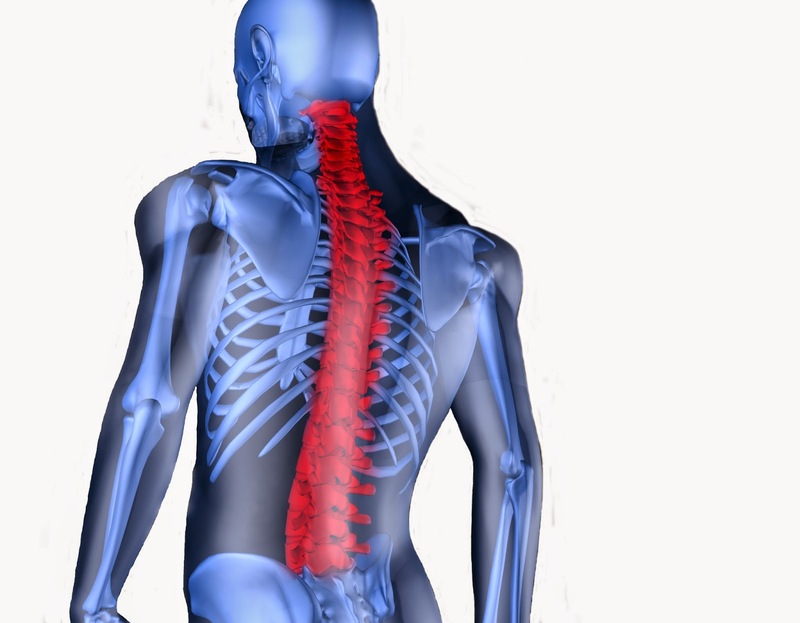 A spine specialist can give an individual suffering from back pain a full and thorough examination. Thereafter, a treatment plan is devised with many choices and options available to that individual. Whether a patient has arthritis or is need of spinal surgery, help can be found by seeking out the professional expertise of a board-certified specialist who will serve a patient well. Whatever a patient’s needs are, seeking out the services of a spine specialist at New York Pain Care will provide an individual high-quality patient care, state-of-the-art services, and a multitude of options from which to choose. Just as you would go to an expert if your computer or your vehicle were to stop working optimally, a patient should never wait to seek out the proper care and treatment when it comes to the spine. The spine is the support system for the human form and when it does not work properly, everything else in an individual’s health can suffer like a domino effect. Seeking out the proper support from a professional will ensure a patient’s ability to function and perform everyday tasks is restored. A healthy spine means a happy and productive individual, so don't put off your spine problems. See a specialist as soon as possible! Lumbar pain or lower back pain is afflicting millions of people of all ages and from different walks of life. Since the back is used to carry out multiple tasks every day like lifting, bending, twisting, and many more, lumbar pain can be caused by a variety of things. Lower back pain comes with numerous challenges; for instance, it can reach different levels of intensity and affect a person's quality of life to a greater or lesser degree. There are multiple options available to address the underlying causes of the pain, get the right diagnosis, avoid aggravating the problem, and undergo the right treatment. Besides the treatment itself, there are numerous things that a person can also do to reduce or prevent injuries and risks that could lead to other health conditions. Though pain can develop in different parts of the body, it's very common in the lower back. The lower back is a complex structure that is comprised of sensitive nerves and their roots, soft tissue, muscles, tendons, complex and small joints, spinal discs, and gel-like fluids. If one of these components becomes damaged or irritated at any time, pain will follow. The level and the type of pain depend on the specific part of the back structure involved. Lumbar pain can develop from incorrect lifting, bending, twisting, and strain due to overuse; sometimes, it is also a result of a bad fall, car accident, or other trauma. Other underlying health issues that can cause lower back pain include subluxation, spondylolisthesis, spinal stenosis, sciatica, sacroiliac joint dysfunction, osteoarthritis, lumbar radiculopathy, herniated disc, and degenerative disc disease. Certain risk factors for lumbar pain include poor posture, obesity, and age; though, a person may be able to overcome it by simply performing special exercises and making healthy lifestyle choices. If the pain is persistent and gets worse, however, it is important to get proper treatment. Immediate medical attention is required if pain is accompanied by symptoms such as severe abdominal pain, incontinence, leg weakness, significant weight loss, chills, and medium to high fever. Biofeedback, behavioral and cognitive therapy, and physical therapy are often used to reduce inflammation and pain, in addition to the medication that would likely be prescribed. For a more serious condition, the treatment may involve a full-blown surgery or a minor procedure. Another highly recommended alternative is chiropractic care, which utilizes hands-on spinal adjustments to help align the body's musculoskeletal structure and allows the body to heal on its own. Overall, lumbar pain treatment includes medication, rest, therapeutic and physical exercises and occasionally, procedures. It is recommended to employ the help of a physical therapist or an experienced chiropractor and/or doctor who can assist in any pain management and facilitate an effective long-term treatment plan. There are few things as frustrating to people as a body that no longer feels good. While some conditions can be truly out of your control, lumbar pain doesn't have to be one of them. Lumbar pain occurs when a herniated or weakened disc places abnormal pressure on the nerve roots in your spine. The result is pain, some potential numbness, and difficulty controlling the affected limb. Often, the symptoms are manifested in one side or another, usually starting at the lower back and working down through the leg and sometimes as far as the foot. Though, the causes for this ailment are often varied and developed over time, the solution can be a simple one. The first step to finding a solution to your pain is to find someone who can properly diagnose you and then recommend an appropriate treatment. Whether you need simple medication or an actual surgery, identifying the level of pain that you suffer and its exact causes is the key to prescribing the right course of action. Talk to your doctor and see a specialist who will be able to explain all of the ins and outs of your treatment options. Once you have a treatment plan in place, you can get to it and start feeling the results. Back pain isn't just something that annoys you; it affects your life. You are less likely to get out there and do things if you are constantly in pain, and even less likely to enjoy them if you do. If your pain seems to be getting worse and worse, don't wait! Seek the advice of professionals who have the most extensive experience and knowledge to apply to your back problems. Here at New York Pain Care, we have the resources and know-how to make your lumbar pain seem like a bad dream. One health issue that affects a large number of people is lumbar pain. This pain usually occurs in the neck, back, and hip area of the body. Prolonged lumbar pain can make it difficult or even impossible for a person to function normally. The individual affected with the severe lumbar pain might take over the counter pain medication, which does not help with the pain, but isn't a long-term solution if the pain is severe. This type of chronic pain frequently requires more intense treatment. Those with a serious lumbar pain should immediately see a specialist who can provide treatment or pain management therapy. A consultation with a lumbar pain specialist should provide further insight into the problem, but it is possible that you are suffering from sciatica. Sciatica usually occurs in the lower back and legs of the patient. The sciatic nerve runs along the back and down the back of the leg, so common signs that a patient is suffering from sciatica include pain in leg when sitting, tingling sensations in the leg, weakness or numb legs, or shooting pains when attempting to stand. Sciatica is a condition that is caused by pressure occurring in the lumbar region, and this type of pressure is very irritating and often impossible to bear. A specialist should be consulted if the symptoms persist. People often ask us what causes lumbar pain or sciatica. There are the most common problems like irritation to the lumbar region or degeneration of the disc in the back area, but other common problems might include sleeping on a worn out mattresses, obesity, and avoiding exercise. Consult with a pain specialist for more information and be on your way to returning to a pain-free lifestyle! Whether one is experiencing chronic back pain from the upper, mid or lower regions, we can help. We are a qualified back pain specialist in NYC. We see people with conditions that involve Sciatica nerve pain, Ankylosing Spondylitis and Bursitis on a daily basis. Oftentimes, back pain is caused from tension that develops within the muscles. In the lower region, muscles that stiffen will contribute to a great deal of lower back pain. To find the best way to treat the back problem, regardless of the location, we must find the greatest muscular therapies to utilize. There is a great debate in the medical community about repair verses management. Some people choose to medicate to get rid of the chronic pain, but this never really takes care of the problem. This method of treatment can develop its own set of problems that can range from major side effects of medications to dangerous addictions. The other solution is to repair the damage. Repairing can mean a variety of gentle manipulations to the back and neck region to alleviate the pain put on disks, muscles and vertebrae. Using manipulation, a method to place the vertebrae back into their original location, it can alleviate a great deal of stress put on muscles and surrounding areas and bring relief. Many things can cause the back or spinal area to have pain. The pain levels associated with each condition will also vary. The main causes of back pain are trauma or an accident, degenerative disks and stress. When the body is stressed, the muscles will tense up, especially in the back. The muscles being stiff will cause pressure and pain. By relieving the pressure and allowing the muscles to be relaxed, the pain can be reversed. This can all happen using no medications and with no harmful side effects. Most people state that they feel relieved after they have had a manipulation. Using a holistic method to treat back pain is the best. Though there may be some tenderness or a headache after the first initial treatment, most people feel great after having a regular routine of being adjusted. Controlling chronic pain using the body's inner defense mechanisms rather than prescription medications is always a better way to treat chronic back pain. To find your relief, call us today. Lumbar pain is back pain that occurs around the area of the natural waistline. There are several bones of the back that make up this portion of the spine, and these bones are usually referred to by their location, such as L3. The most common cause of lumbar pain is generally muscle strain initiated by improper lifting or poor posture. This type of injury is best healed with a day or two of rest with a non-steroidal anti-inflammatory medication. Another cause of lumbar pain can be the slippage of a between the vertebrae or the degeneration of a disk. Both can cause pressure on the nerves originated from the spine in that area, resulting in lumbar pain. The location of pain, numbness or tingling can help suggest exactly where the disk has become compressed. An MRI is done if back pain is severe, worsens, or it has lasted for more than a few weeks. Magnetic resonance imaging allows doctors to examine the softer tissue around the spine. These images allow the physician to see degeneration of disks and see if they are compressing nerve roots and where. Occasionally, fluid may build up around the disk injury and cause a cyst to form, which can also compress the nerve root. If you have been experiencing consistent lumbar pain for more than a few days or weeks, it is important to see a physician. Numbness, pain down the leg, and a tingling sensation is indicative of nerve root impingement. It can be accompanied numbness around the hip, upper buttock, and to the thigh, calf or foot. It can be mildly uncomfortable to unbearable in its level of pain for the patient. Either way, seeking an expert opinion is recommended. Sometimes, disks can move on their own, and with physical therapy, medication, and attempts to adjust behavior, pain relief can be significant. If the pain is severe, interferes with bladder or bowel function, or there is a cyst compressing the nerve, surgery provides the best results. It is also important to maintain a healthy weight and lift properly. Regardless of the cause or severity of your lumbar pain, we can help, so be sure to contact us today! Lower back pain typically begins when you don't even realize it; often times, you are not even paying attention when the incident that spurs the pain occurs. Lower back injuries can happen while lifting, bending, or even sitting. Sometimes when an injury occurs, you know it happened immediately, but other times, you may not feel the effects until you slow down that evening or wake up the next morning. Regardless of what caused your pain, we are proud to provide you with reliable and affordable lower back pain treatment. Lower back pain can be caused by pinching a nerve, poor posture, or just overworking your body. Something as simple as poor posture while sitting at your desk for prolonged periods of time can cause serious lower back pain. In fact, this is actually one of the most common reasons for chronic back pain. Sometimes, after a few days, the pain will pass, only to return again later when you aggravate the condition. Other times, the pain does not go away without proper treatment. Going to the emergency room or a family doctor does not always solve the pain. You are typically given pain medication or muscles relaxers and sent home. Other times, you know that you will only receive pain medication and muscle relaxers so you stay at home and hope the pain goes away. After a back injury, many people limit their physical activity in hopes that they will not aggravate or re-injure their back. This is not a way to live. Timely and proper lower back pain treatment can ensure that you will be able to do all of the things that you enjoy without having to worry about simply ending up back on pain medication. A specialist in lower back pain can teach you exercises that you can use to safely strengthen your back and prevent reoccurring injury and pain. Choosing to see a back pain specialist can change the way you look at treatment for your back pain. This will ensure that the cause of the low back pain is properly determined and treated so you can return to living a pain-free life.